It's the word that seduced me first. Its strange, exotic sounds ... its etymology, its resistance against attempts to translate ... Molière's language looked suddenly very poor ... Recluse? Hermit? Voluntary exile? Nothing suits. When we have a trouble with translating a word, it is that we are approaching something complex. At the end of March, I had just moved to Japan as a correspondent for France 24 when I chose hikikomori as my first subject. I had already seen reports on this phenomenon that intrigued me. Being a rather "social" person myself, I wanted to find out who these withdrawn beings are. The meeting of several associations quickly put me in touch with your magazine. In April, I was invited to one of your editorial meetings. I was surprised to discover that Hikikomori (who are portrayed in the media as socially locked up, cut off from the world) were coming out of their homes, turning the pages of magazines, debating, exchanging, with an editor, contradictory opinions, nuances, subtleties ... Even if I do not understand the Japanese, I immediately saw that it looked like a real conference for writing. By her dress sartorial, her nonchalant posture, the "withdrawn" icon in her coat had a "fashion" side. Paradoxically she could have appeared on an advertisement for a famous brand. Her nihilism was trendy, her camera-look was a challenge. 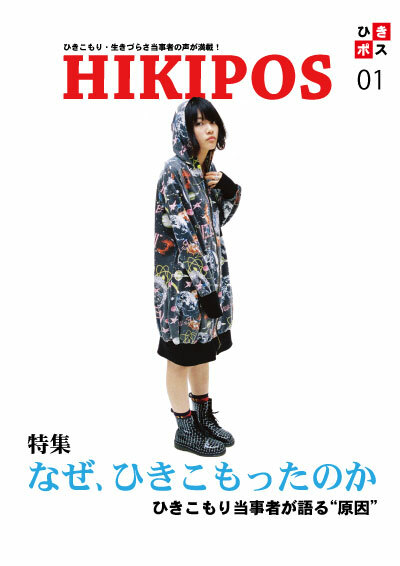 I wanted to know if she was a true hikikomori or a model, and again I was surprised to learn that the magazine used the services of a model and a real photographer. Since when do hikikomori hire pros? I was seduced but also somewhat distraught by this community of journalists-hikikomori, polite and civilized. No fools, no asocials. I even discovered a "soto-komori", a hikikomori who had traveled and spoke my language !!! After the meeting, the "hermits" invited me to dinner at the restaurant! It was the best moment: we were able to share in a very warm and sincere atmosphere. People spoke about them shamelessly, which is rare in Japan. 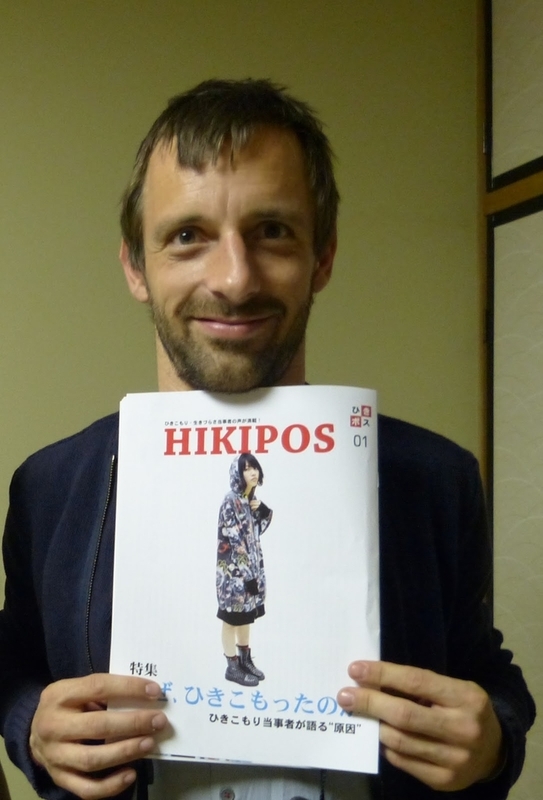 I felt a certain closeness with the members of Hikipos. What brings us closer: the critical dimension, the constant dissatisfaction. In France criticism is the national sport (more than football). We like to "challenge", reject the "system", talk about politics, imagine another society, more fair or effective, happier. I have understood that all hikikomori do not reject the whole society, but certainly some form of society. The mold. Conformism. This was my first discovery of what I today call this "secret community" of hikikomori, this "counter-society" or "other society" that I carry in my heart. Because, if there's one thing I hate, it's conformism. I am happy not to be hikikomori (because I have also discovered a lot of suffering) but I am happy that hikikomori exist. That people refuse to be satisfied with the established order, that they question our societies. The discovery of these hikikomori-journalists, spokesmen probably of a quieter majority, complicated nevertheless my filming. 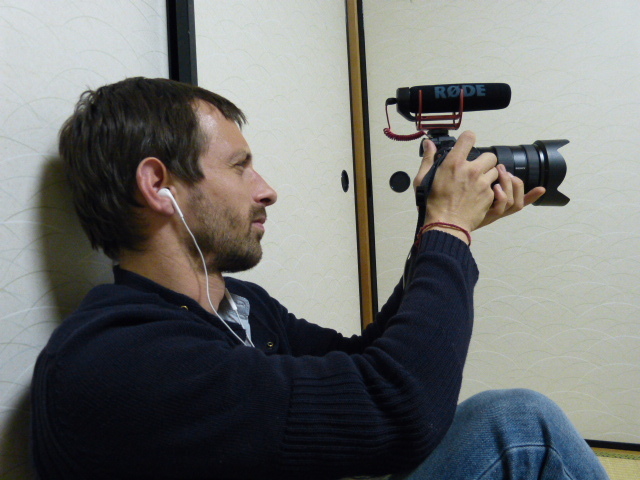 Let's be frank: like many journalists, my goal was to film in the room of a hikikomori not leaving home, someone who does not want to see the world that I embody. I do not think it's a cliché. I did not choose that this hikikomori be a man or a woman, young or old, that he lives with family or alone, that he read mangas, plays video games, keep a blog or do nothing ... I simply wanted to reach a room. Because this is the place where it seems to me that everything starts. Do not we become hikikomori the day we go home? When the NHK broadcast a report on hikikomori, she no longer has to present this phenomenon, it is addressed to the Japanese public who hear about it for thirty years. Conversely, the vast majority of my audience have never heard the word "hikikomori". I must first explain what it is. And for that the best way seems to me a portrait in a room. Some of you in Hikipos see it as an obsession of journalists (especially Westerners), a simplification of the complex identity of hikikomori, a stereotype ... For me it's mostly a question of communication, information, not an editorial or political choice. But no matter, life is made of differences, contradictory points of view that must be confronted. And that's what I felt when talking with so many hikikomoris for six months: the diversity of profiles. Do not stay alone. I hope that this journal maintains a link with those who have lost all links.